For other uses, see Cybernetics (disambiguation). Cybernetics is a transdisciplinary approach for exploring regulatory systems—their structures, constraints, and possibilities. Norbert Wiener defined cybernetics in 1948 as "the scientific study of control and communication in the animal and the machine." In the 21st century, the term is often used in a rather loose way to imply "control of any system using technology." In other words, it is the scientific study of how humans, animals and machines control and communicate with each other. Cybernetics is applicable when a system being analyzed incorporates a closed signaling loop—originally referred to as a "circular causal" relationship—that is, where action by the system generates some change in its environment and that change is reflected in the system in some manner (feedback) that triggers a system change. Cybernetics is relevant to, for example, mechanical, physical, biological, cognitive, and social systems. The essential goal of the broad field of cybernetics is to understand and define the functions and processes of systems that have goals and that participate in circular, causal chains that move from action to sensing to comparison with desired goal, and again to action. Its focus is how anything (digital, mechanical or biological) processes information, reacts to information, and changes or can be changed to better accomplish the first two tasks. Cybernetics includes the study of feedback, black boxes and derived concepts such as communication and control in living organisms, machines and organizations including self-organization. Concepts studied by cyberneticists include, but are not limited to: learning, cognition, adaptation, social control, emergence, convergence, communication, efficiency, efficacy, and connectivity. In cybernetics these concepts (otherwise already objects of study in other disciplines such as biology and engineering) are abstracted from the context of the specific organism or device. The word cybernetics comes from Greek κυβερνητική (kybernētikḗ), meaning "governance", i.e., all that are pertinent to κυβερνάω (kybernáō), the latter meaning "to steer, navigate or govern", hence κυβέρνησις (kybérnēsis), meaning "government", is the government while κυβερνήτης (kybernḗtēs) is the governor or "helmperson" of the "ship". Contemporary cybernetics began as an interdisciplinary study connecting the fields of control systems, electrical network theory, mechanical engineering, logic modeling, evolutionary biology, neuroscience, anthropology, and psychology in the 1940s, often attributed to the Macy Conferences. During the second half of the 20th century cybernetics evolved in ways that distinguish first-order cybernetics (about observed systems) from second-order cybernetics (about observing systems). More recently there is talk about a third-order cybernetics (doing in ways that embraces first and second-order). Studies in cybernetics provide a means for examining the design and function of any system, including social systems such as business management and organizational learning, including for the purpose of making them more efficient and effective. Fields of study which have influenced or been influenced by cybernetics include game theory, system theory (a mathematical counterpart to cybernetics), perceptual control theory, sociology, psychology (especially neuropsychology, behavioral psychology, cognitive psychology), philosophy, architecture, and organizational theory. System dynamics, originated with applications of electrical engineering control theory to other kinds of simulation models (especially business systems) by Jay Forrester at MIT in the 1950s, is a related field. Simple feedback model. AB < 0 for negative feedback. The term cybernetics stems from κυβερνήτης (cybernḗtēs) "steersman, governor, pilot, or rudder". As with the ancient Greek pilot, independence of thought is important in cybernetics. French physicist and mathematician André-Marie Ampère first coined the word "cybernetique" in his 1834 essay Essai sur la philosophie des sciences to describe the science of civil government. The term was borrowed by Norbert Wiener, in his book Cybernetics, to define the study of control and communication in the animal and the machine. The word cybernetics was first used in the context of "the study of self-governance" by Plato in The Alcibiades to signify the governance of people. The word 'cybernétique' was also used in 1834 by the physicist André-Marie Ampère (1775–1836) to denote the sciences of government in his classification system of human knowledge. The first artificial automatic regulatory system was a water clock, invented by the mechanician Ktesibios; based on a tank which poured water into a reservoir before using it to run the mechanism, it used a cone-shaped float to monitor the level of the water in its reservoir and adjust the rate of flow of the water accordingly to maintain a constant level of water in the reservoir. This was the first artificial truly automatic self-regulatory device that required no outside intervention between the feedback and the controls of the mechanism. Although they considered this part of engineering (the use of the term cybernetics is much posterior), Ktesibios and others such as Heron and Su Song are considered to be some of the first to study cybernetic principles. 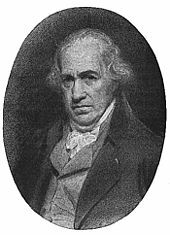 The study of teleological mechanisms (from the Greek τέλος or télos for end, goal, or purpose) in machines with corrective feedback dates from as far back as the late 18th century when James Watt's steam engine was equipped with a governor (1775–1800), a centrifugal feedback valve for controlling the speed of the engine. Alfred Russel Wallace identified this as the principle of evolution in his famous 1858 paper. In 1868 James Clerk Maxwell published a theoretical article on governors, one of the first to discuss and refine the principles of self-regulating devices. Jakob von Uexküll applied the feedback mechanism via his model of functional cycle (Funktionskreis) in order to explain animal behaviour and the origins of meaning in general. Contemporary cybernetics began as an interdisciplinary study connecting the fields of control systems, electrical network theory, mechanical engineering, logic modeling, evolutionary biology and neuroscience in the 1940s; the ideas are also related to the biological work of Ludwig von Bertalanffy in General Systems Theory. Electronic control systems originated with the 1927 work of Bell Telephone Laboratories engineer Harold S. Black on using negative feedback to control amplifiers. Early applications of negative feedback in electronic circuits included the control of gun mounts and radar antenna during World War II. The founder of System Dynamics, Jay Forrester, worked with Gordon S. Brown during WWII as a graduate student at the Servomechanisms Laboratory at MIT to develop electronic control systems for the U.S. Navy. Forrester later applied these ideas to social organizations, such as corporations and cities and became an original organizer of the MIT School of Industrial Management at the MIT Sloan School of Management. W. Edwards Deming, the Total Quality Management guru for whom Japan named its top post-WWII industrial prize, was an intern at Bell Telephone Labs in 1927 and may have been influenced by network theory; Deming made "Understanding Systems" one of the four pillars of what he described as "Profound Knowledge" in his book The New Economics. Numerous papers spearheaded the coalescing of the field. In 1935 Russian physiologist P. K. Anokhin published a book in which the concept of feedback ("back afferentation") was studied. The study and mathematical modelling of regulatory processes became a continuing research effort and two key articles were published in 1943: "Behavior, Purpose and Teleology" by Arturo Rosenblueth, Norbert Wiener, and Julian Bigelow; and the paper "A Logical Calculus of the Ideas Immanent in Nervous Activity" by Warren McCulloch and Walter Pitts. In 1936, Ștefan Odobleja published "Phonoscopy and the clinical semiotics". In 1937, he participated in the IX International Congress of Military Medicine with "Demonstration de phonoscopie"; in the paper he disseminated a prospectus announcing his future work, "Psychologie consonantiste", the most important of his writings, where he lays the theoretical foundations of generalized cybernetics. The book, published in Paris by Librairie Maloine (vol. I in 1938 and vol. II in 1939), contains almost 900 pages and includes 300 figures in the text. The author wrote at the time that "this book is ... a table of contents, an index or a dictionary of psychology, [for] a ... great Treatise of Psychology that should contain 20–30 volumes". Due to the beginning of World War II, the publication went unnoticed (the first Romanian edition of this work did not appear until 1982). Cybernetics as a discipline was firmly established by Norbert Wiener, McCulloch, Arturo Rosenblueth and others, such as W. Ross Ashby, mathematician Alan Turing, and W. Grey Walter (one of the first to build autonomous robots as an aid to the study of animal behaviour). In the spring of 1947, Wiener was invited to a congress on harmonic analysis, held in Nancy (France was an important geographical locus of early cybernetics together with the US and UK); the event was organized by the Bourbaki, a French scientific society, and mathematician Szolem Mandelbrojt (1899–1983), uncle of the world-famous mathematician Benoît Mandelbrot. During this stay in France, Wiener received the offer to write a manuscript on the unifying character of this part of applied mathematics, which is found in the study of Brownian motion and in telecommunication engineering. The following summer, back in the United States, Wiener decided to introduce the neologism cybernetics, coined to denote the study of "teleological mechanisms", into his scientific theory: it was popularized through his book Cybernetics: Or Control and Communication in the Animal and the Machine (MIT Press/John Wiley and Sons, NY, 1948). In the UK this became the focus for the Ratio Club. In the early 1940s John von Neumann, although better known for his work in mathematics and computer science, did contribute a unique and unusual addition to the world of cybernetics: von Neumann cellular automata, and their logical follow up, the von Neumann Universal Constructor. The result of these deceptively simple thought-experiments was the concept of self replication, which cybernetics adopted as a core concept. The concept that the same properties of genetic reproduction applied to social memes, living cells, and even computer viruses is further proof of the somewhat surprising universality of cybernetic study. In 1950, Wiener popularized the social implications of cybernetics, drawing analogies between automatic systems (such as a regulated steam engine) and human institutions in his best-selling The Human Use of Human Beings: Cybernetics and Society (Houghton-Mifflin). In the Soviet Union "bourgeois" cybernetics was initially considered a "pseudoscience" and "ideological weapon" of "imperialist reactionaries" (Soviet Philosophical Dictionary, 1954) and later criticised as a narrow form of cybernetics. In the mid to late 1950s Viktor Glushkov and others salvaged the reputation of the field. Soviet cybernetics incorporated much of what became known as computer science in the West. While not the only instance of a research organization focused on cybernetics, the Biological Computer Lab at the University of Illinois at Urbana–Champaign, under the direction of Heinz von Foerster, was a major center of cybernetic research for almost 20 years, beginning in 1958. Artificial intelligence (AI) was founded as a distinct discipline at the Dartmouth workshop. After some uneasy coexistence, AI gained funding and prominence. Consequently, cybernetic sciences such as the study of artificial neural networks were downplayed; the discipline shifted into the world of social sciences and therapy. Prominent cyberneticians during this period include Gregory Bateson and Aksel Berg. In the 1970s, new cyberneticians emerged in multiple fields, but especially in biology. The ideas of Maturana, Varela and Atlan, according to Jean-Pierre Dupuy (1986) "realized that the cybernetic metaphors of the program upon which molecular biology had been based rendered a conception of the autonomy of the living being impossible. Consequently, these thinkers were led to invent a new cybernetics, one more suited to the organizations which mankind discovers in nature - organizations he has not himself invented". However, during the 1980s the question of whether the features of this new cybernetics could be applied to social forms of organization remained open to debate. In political science, Project Cybersyn attempted to introduce a cybernetically controlled economy during the early 1970s. In the 1980s, according to Harries-Jones (1988) "unlike its predecessor, the new cybernetics concerns itself with the interaction of autonomous political actors and subgroups, and the practical and reflexive consciousness of the subjects who produce and reproduce the structure of a political community. A dominant consideration is that of recursiveness, or self-reference of political action both with regards to the expression of political consciousness and with the ways in which systems build upon themselves". One characteristic of the emerging new cybernetics considered in that time by Felix Geyer and Hans van der Zouwen, according to Bailey (1994), was "that it views information as constructed and reconstructed by an individual interacting with the environment. This provides an epistemological foundation of science, by viewing it as observer-dependent. Another characteristic of the new cybernetics is its contribution towards bridging the micro-macro gap. That is, it links the individual with the society". Another characteristic noted was the "transition from classical cybernetics to the new cybernetics [that] involves a transition from classical problems to new problems. These shifts in thinking involve, among others, (a) a change from emphasis on the system being steered to the system doing the steering, and the factor which guides the steering decisions; and (b) new emphasis on communication between several systems which are trying to steer each other". Recent endeavors into the true focus of cybernetics, systems of control and emergent behavior, by such related fields as game theory (the analysis of group interaction), systems of feedback in evolution, and metamaterials (the study of materials with properties beyond the Newtonian properties of their constituent atoms), have led to a revived interest in this increasingly relevant field. The design of self-regulating control systems for a real-time planned economy was explored by economist Oskar Lange, cyberneticist Viktor Glushkov, and others in the former Soviet Union during the 1960s. By the time information technology was developed enough to enable feasible economic planning based on computers, the Soviet Union and eastern bloc countries began moving away from planning and eventually collapsed. More recent proposals for socialism involve "New Socialism", outlined by the computer scientists Paul Cockshott and Allin Cottrell, where computers determine and manage the flows and allocation of resources among socially-owned enterprises. On the other hand, Friedrich Hayek also mentions cybernetics as a discipline that could help economists understand the "self-organizing or self-generating systems" called markets. Being a "complex phenomena", the best way to examine the market functioning is by using the feedback mechanism, explained by cybernetic theorists. That way, economists could make "pattern predictions". Therefore, the market for Hayek is a "communication system", an "efficient mechanism for digesting dispersed information". The economist and a cyberneticist are like garderners who are "providing the appropriate environment". Finally, Hayek also considers that Adam Smith's idea of the invisible hand is as anticipation of the operation of the feedback mechanism in cybernetics. In the same book, Law, Legislation and Liberty, Hayek mentions, along with cybernetics, that economists should rely on the scientific findings of Ludwig von Bertalanffy general systems theory, along with information and communication theory and semiotics. Cybernetics is sometimes used as a generic term, which serves as an umbrella for many systems-related scientific fields. ASIMO uses sensors and sophisticated algorithms to avoid obstacles and navigate stairs. Cybernetics in biology is the study of cybernetic systems present in biological organisms, primarily focusing on how animals adapt to their environment, and how information in the form of genes is passed from generation to generation. There is also a secondary focus on combining artificial systems with biological systems. A notable application to the biology world would be that, in 1955, the physicist George Gamow published a prescient article in Scientific American called "Information transfer in the living cell", and cybernetics gave biologists Jacques Monod and François Jacob a language for formulating their early theory of gene regulatory networks in the 1960s. Computer science directly applies the concepts of cybernetics to the control of devices and the analysis of information. 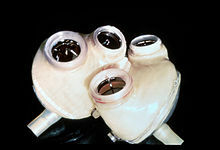 An artificial heart, a product of biomedical engineering. Mathematical Cybernetics focuses on the factors of information, interaction of parts in systems, and the structure of systems. By examining group behavior through the lens of cybernetics, sociologists can seek the reasons for such spontaneous events as smart mobs and riots, as well as how communities develop rules such as etiquette by consensus without formal discussion. Affect Control Theory explains role behavior, emotions, and labeling theory in terms of homeostatic maintenance of sentiments associated with cultural categories. The most comprehensive attempt ever made in the social sciences to increase cybernetics in a generalized theory of society was made by Talcott Parsons. In this way, cybernetics establishes the basic hierarchy in Parsons' AGIL paradigm, which is the ordering system-dimension of his action theory. These and other cybernetic models in sociology are reviewed in a book edited by McClelland and Fararo. A model of cybernetics in Education was introduced by Gihan Sami Soliman; an educational consultant, as a project idea to be implemented with the help of two team members in Sinai. The Sinai Sustainability Cybernetics Center announced as a semi-finalist project by MIT annual competition 2013. The project idea proposed relating education to sustainable development through an IMS project that applies a multiple educational program related to the original natural self-healing system of life on earth. Education, sustainable development, social justice disciplines interact in a causal circular relationship that education would contribute to the development of the local community in Sinai village, on both sustainability and social responsibility levels while the community itself provides a unique learning environment that will contribute to the development of the educational program in a closed signaling loop. Cybernetics was an influence on thinking in architecture and design in the decades after the Second World War. Ashby and Pask were drawn on by design theorists such as Horst Rittel, Christopher Alexander and Bruce Archer. Pask was a consultant to Nicholas Negroponte's Architecture Machine Group, forerunner of the MIT Media Lab, and collaborated with architect Cedric Price and theatre director Joan Littlewood on the influential Fun Palace project during the 1960s. Pask's 1950s Musicolour installation was the inspiration for John and Julia Frazer's work on Price's Generator project. There has been a resurgence of interest in cybernetics and systems thinking amongst designers in recent decades, in relation to developments in technology and increasingly complex design challenges. Figures such as Klaus Krippendorff, Paul Pangaro and Ranulph Glanville have made significant contributions to both cybernetics and design research. The connections between the two fields have come to be understood less in terms of application and more as reflections of each other. Geocybernetics aims to study and control the complex co-evolution of ecosphere and anthroposphere, for example, for dealing with planetary problems such as anthropogenic global warming. Geocybernetics applies a dynamical systems perspective to Earth system analysis. It provides a theoretical framework for studying the implications of following different sustainability paradigms on co-evolutionary trajectories of the planetary socio-ecological system to reveal attractors in this system, their stability, resilience and reachability. Concepts such as tipping points in the climate system, planetary boundaries, the safe operating space for humanity and proposals for manipulating Earth system dynamics on a global scale such as geoengineering have been framed in the language of geocybernetic Earth system analysis. A model of cybernetics in Sport was introduced by Yuri Verkhoshansky and Mel C. Siff in 1999 in their book Supertraining. Complexity science attempts to understand the nature of complex systems. Biomechatronics relates to linking mechatronics to biological organisms, leading to systems that conform to A. N. Kolmogorov's definition of Cybernetics: "Science concerned with the study of systems of any nature which are capable of receiving, storing and processing information so as to use it for control". From this perspective mechatronics are considered technical cybernetics or engineering cybernetics. ^ Müller, Albert (2000). "A Brief History of the BCL". Österreichische Zeitschrift für Geschichtswissenschaften. 11 (1): 9–30. ^ a b c Wiener, Norbert (1948). Cybernetics: Or Control and Communication in the Animal and the Machine. Cambridge, Massachusetts: MIT Press. ^ a b Kelly, Kevin (1994). Out of control: The new biology of machines, social systems and the economic world. Boston: Addison-Wesley. ISBN 978-0-201-48340-6. OCLC 221860672. ^ Kenny, Vincent (15 March 2009). "There's Nothing Like the Real Thing". Revisiting the Need for a Third-Order Cybernetics". Constructivist Foundations. 4 (2): 100–111. Retrieved 6 June 2012. ^ Tange, Kenzo (1966) "Function, Structure and Symbol". ^ Umpleby, Stuart (2008). "Definitions of Cybernetics" (PDF). The Larry Richards Reader 1997–2007. pp. 9–11. I developed this list of definitions/descriptions in 1987-88 and have been distributing it at ASC (American Society for Cybernetics) conferences since 1988. I added a few items to the list over the next two years, and it has remained essentially unchanged since then. My intent was twofold: (1) to demonstrate that one of the distinguishing features of cybernetics might be that it could legitimately have multiple definitions without contradicting itself, and (2) to stimulate dialogue on what the motivations (intentions, desires, etc.) of those who have proposed different definitions might be. ^ "La cybernétique est l’art de l’efficacité de l’action" originally a French definition formulated in 1953, lit. "Cybernetics is the art of effective action"
^ Couffignal, Louis, "Essai d’une définition générale de la cybernétique", The First International Congress on Cybernetics, Namur, Belgium, June 26–29, 1956, Paris: Gauthier-Villars, 1958, pp. 46-54. ^ Leary, Timothy. "The Cyberpunk: the individual as reality pilot" in Storming the Reality Studio. Duke University Press: 1991. ^ H.S. Tsien. Engineering Cybernetics, Preface vii. McGraw Hill, 1954. ^ Johnson, Barnabas. "The Cybernetics of Society". Retrieved 8 January 2012. ^ "On the Tendency of Varieties to Depart Indefinitely from the Original Type, by Alfred Russel Wallace". ^ Glushkov, Viktor (1966). Introduction to Cybernetics. New York: Academic Press. ISBN 978-0122868504. ^ Cariani, Peter (15 March 2010). "On the importance of being emergent". Constructivist Foundations. 5 (2): 89. Retrieved 13 August 2012. artificial intelligence was born at a conference at Dartmouth in 1956 that was organized by McCarthy, Minsky, rochester, and shannon, three years after the Macy conferences on cybernetics had ended (Boden 2006; McCorduck 1972). The two movements coexisted for roughly a de- cade, but by the mid-1960s, the proponents of symbolic ai gained control of national funding conduits and ruthlessly defunded cybernetics research. This effectively liquidated the subfields of self-organizing systems, neural networks and adaptive machines, evolutionary programming, biological computation, and bionics for several decades, leaving the workers in management, therapy and the social sciences to carry the torch. i think some of the polemical pushing-and-shoving between first-order control theorists and second-order crowds that i witnessed in subsequent decades was the cumulative result of a shift of funding, membership, and research from the "hard" natural sciences to "soft" socio-psychological interventions. ^ a b Jean-Pierre Dupuy, "The autonomy of social reality: on the contribution of systems theory to the theory of society" in: Elias L. Khalil & Kenneth E. Boulding eds., Evolution, Order and Complexity, 1986. ^ Loeber, Katharina; Loeber, Katharina (2018-04-13). "Big Data, Algorithmic Regulation, and the History of the Cybersyn Project in Chile, 1971–1973". Social Sciences. 7 (4): 65. doi:10.3390/socsci7040065. ^ Peter Harries-Jones (1988), "The Self-Organizing Polity: An Epistemological Analysis of Political Life by Laurent Dobuzinskis" in: Canadian Journal of Political Science (Revue canadienne de science politique), Vol. 21, No. 2 (Jun., 1988), pp. 431-433. ^ a b c Kenneth D. Bailey (1994), Sociology and the New Systems Theory: Toward a Theoretical Synthesis, p.163. ^ Feinstein, C.H. (September 1969). Socialism, Capitalism and Economic Growth: Essays Presented to Maurice Dobb. Cambridge University Press. p. 175. ISBN 978-0521049870. At some future date it may appear as a joke of history that socialist countries learned at long last to overcome their prejudices and to dismantle clumsy planning mechanisms in favour of more effective market elements just at a time when the rise of computers and of cybernetics laid the foundation for greater opportunities in comprehensive planning. ^ Allin Cottrell & W.Paul Cockshott, Towards a new socialism (Nottingham, England: Spokesman, 1993). Retrieved: 17 March 2012. ^ Hayek, Friedrich (1998). Law, Legislation and Liberty: Volume 1: Rules and Order. London: Routledge. p. 37. ^ Hayek, Friedrich (1967). Studies in Philosophy, Politics and Economics. London: Routledge. p. 26. ^ Hayek, Friedrich (Fall 2002). "Competition as a discovery procedure". The Quarterly Journal of Austrian Economics. 5: 12. ^ a b Hayek, Friedrich (1990). New studies in philosophy, politics, economics and the history of ideas. London: Routledge. p. 34. ^ a b Hayek, Friedrich (1998). Law, Legislation and Liberty: Volume 3: Political Order of a Free People. London: Routledge. p. 158. ^ Mehrali, Mehdi; Bagherifard, Sara; Akbari, Mohsen; Thakur, Ashish; Mirani, Bahram; Mehrali, Mohammad; Hasany, Masoud; Orive, Gorka; Dolatshahi‐Pirouz, Alireza (October 2018). "Flexible Bioelectronics: Blending Electronics with the Human Body: A Pathway toward a Cybernetic Future (Adv. Sci. 10/2018)". Advanced Science. 5 (10): 1870059. doi:10.1002/advs.201870059. ISSN 2198-3844. PMC 6193153. ^ "Why Physics Is Not a Discipline - Issue 35: Boundaries - Nautilus". Nautilus. Retrieved 2016-04-24. ^ McClelland, Kent A., and Thomas J. Fararo (Eds.). 2006. Purpose, Meaning, and Action: Control Systems Theories in Sociology. New York: Palgrave Macmillan. ^ "SSCC (Sinai Sustainability Cybernetics Center)". MIT Enterprise Forum, Pan Arab Region. ^ "SSCC (Sinai Sustainability Cybernetics Center)" the 46th team to qualify for this year's MIT semi-finalist round — Naharnet. Naharnet.com (2013-04-25). Retrieved on 2013-11-02. ^ "SSCC, One minute movie". ^ "TV Interview on the project(Arabic)". ^ "CYSP I, the first cybernetic sculpture of art's history". Leonardo/OLATS - Observatoire Leonardo des arts et des technosciences. ^ Pask, G. (1971). A comment, a case history and a plan. In J. Reichardt (Ed. ), Cybernetics, art and ideas (pp. 76-99). London: Studio Vista. Fernandez, M. (2009). “Aesthetically-Potent Environments” or How Pask Detourned Instrumental Cybernetics. In P. Brown, C. Gere, N. Lambert & C. Mason (Eds. ), White Heat Cold Logic: British Computer Art 1960-1980 Cambridge, Massachusetts: MIT Press. ^ Ascott, Roy (2003). Edward A. Shanken (ed.). Telematic Embrace: Visionary Theories of Art, Technology, and Consciousness. Berkeley: University of California Press. ^ Fischer, Thomas; Richards, Laurence D. (2014-06-09). "From Goal-Oriented to Constraint-Oriented Design: The Cybernetic Intersection of Design Theory and Systems Theory". Leonardo. 50 (1): 36–41. doi:10.1162/leon_a_00862. ISSN 0024-094X. ^ Upitis, A. (2013). Alexander's Choice: How Architecture avoided Computer Aided Design c. 1962. In A. Dutta (Ed. ), A Second Modernism: MIT, Architecture, and the 'Techno-Social' Moment (pp. 474-505). Cambridge, Massachusetts: SA+P Press. ^ Mathews, S. (2007). From Agit-Prop to Free Space: The Architecture of Cedric Price. London: Black Dog. Isabelle Doucet (University of Manchester, UK), Samantha Hardingham (Architectural Association, London, UK), Tanja Herdt (TU Munich, Germany), Jim Njoo (École Nationale Supérieure d’Architecture de Paris-La Villette, France), Ben Sweeting (University of Brighton, UK). An Afternoon with Cedric Price no. 1, CCA c/o Lisboa. Panel discussion moderated by Kim Förster, CCA Associate Director, Research. Organised by the Canadian Centre for Architecture, Montreal and Artéria, Lisbon. Held at Barbas Lopes Arquitectos. Part of the Lisbon Architecture Triennale 2016. 22 October 2016. ^ Glanville, R. (Ed.). (2007). Cybernetics and design. Special double issue of Kybernetes, 36(9/10); Jones, P. H. (2014). Systemic Design Principles for Complex Social Systems. In G. Metcalf (Ed. ), Social Systems and Design (pp. 91-128). Tokyo: Springer. ^ Glanville, R. (2007). Try again. Fail again. Fail better: The cybernetics in design and the design in cybernetics. Kybernetes, 36(9/10), 1173-1206. doi:10.1108/03684920710827238; Glanville, R. (2014). How Design and Cybernetics Reflect Each Other. In B. Sevaldson & P. H. Jones (Eds. ), Proceedings of Third Symposium of Relating Systems Thinking to Design, Oslo, Norway. October 15–17, 2014. Sweeting, B. (2016). Design Research as a Variety of Second-Order Cybernetic Practice. Constructivist Foundations, 11(3), 572-579. ^ Schellnhuber, H.-J., Discourse: Earth system analysis - The scope of the challenge, pp. 3-195. In: Schellnhuber, H.-J. and Wenzel, V. (Eds.). 1998. Earth system analysis: Integrating science for sustainability. Berlin: Springer. ^ Schellnhuber, H.-J., Earth system analysis and the second Copernican revolution. Nature, 402, C19-C23. 1999. Arbib, Michael A. (1987). Brains, machines, and mathematics (2nd ed.). New York: Springer-Verlag. ISBN 978-0387965390. Arbib, Michael A. (1972). The Metaphorical Brain. Wiley. ISBN 978-0-471-03249-6. Ashby, William Ross (1956). An introduction to cybernetics (PDF). Chapman & Hall. Retrieved 3 June 2012. Beer, Stafford (1974). Designing freedom. Chichester, West Sussex, England: Wiley. ISBN 978-0471951650. George, F. H. (1971). Cybernetics. Teach Yourself Books. ISBN 978-0-340-05941-8. Gerovitch, Slava (2002). From newspeak to cyberspeak : a history of Soviet cybernetics. Cambridge, Massachusetts [u.a. ]: MIT Press. ISBN 978-0262-07232-8. Heims, Steve Joshua (1993). Constructing a social science for postwar America : the cybernetics group, 1946-1953 (1st ed.). Cambridge, Massachusetts u.a. : MIT Press. ISBN 9780262581233. Helvey, T.C. (1971). The age of information; an interdisciplinary survey of cybernetics. Englewood Cliffs, N.J.: Educational Technology Publications. ISBN 9780877780083. Heylighen, Francis, and Cliff Joslyn (2002). "Cybernetics and Second Order Cybernetics", in: R.A. Meyers (ed. ), Encyclopedia of Physical Science & Technology (3rd ed. ), Vol. 4, (Academic Press, San Diego), p. 155-169. Hyötyniemi, Heikki (2006). Neocybernetics in Biological Systems. Espoo: Helsinki University of Technology, Control Engineering Laboratory. Ilgauds, Hans Joachim (1980), Norbert Wiener, Leipzig. Johnston, John (2008). The allure of machinic life : cybernetics, artificial life, and the new AI. Cambridge, Massachusetts: MIT Press. ISBN 978-0-262-10126-4. Medina, Eden (2011). Cybernetic revolutionaries : technology and politics in Allende's Chile. Cambridge, Massachusetts: MIT Press. ISBN 978-0-262-01649-0. Pangaro, Paul. "Cybernetics — A Definition". Pask, Gordon (1972). "Cybernetics". Encyclopædia Britannica. Patten, Bernard C.; Odum, Eugene P. (December 1981). "The Cybernetic Nature of Ecosystems". The American Naturalist. 118 (6): 886–895. doi:10.1086/283881. JSTOR 2460822?. Pekelis, V. (1974). Cybernetics A to Z. Moscow: Mir Publishers. Pickering, Andrew (2010). The cybernetic brain : sketches of another future ([Online-Ausg.] ed.). Chicago: University of Chicago Press. ISBN 978-0226667898. Umpleby, Stuart (1989). "The science of cybernetics and the cybernetics of science", in: Cybernetics and Systems", Vol. 21, No. 1, (1990), pp. 109–121. von Foerster, Heinz, (1995), Ethics and Second-Order Cybernetics. Wiener, Norbert (1948). Hermann & Cie (ed.). Cybernetics; or, Control and communication in the animal and the machine. Paris: Technology Press. Retrieved 3 June 2012. Wiener, Norbert (1950). Cybernetics and Society: The Human Use of Human Beings. Houghton Mifflin. "Basics of Cybernetics". Archived from the original on 2010-08-11. Retrieved 2016-01-23. This page was last edited on 24 April 2019, at 09:06 (UTC).